Kids are often very curious and sometimes aren’t very aware that there are numerous dangers surrounding us every day. It’s important that we get our kids to be conscious of dangers to help keep them safe. Listed below are steps to ensure that your children are conscientious about their own safety in and around your home. Teach your children how to make emergency calls in case of a serious emergency. Ensure they know the difference between someone needing help and calling about a minor issue like one of their toys being lost. Teach them the emergency numbers and have them posted in a visible location. Ask them frequently to recite the emergency number of 911 so it’s second nature to dial, even when they are scared and panicked. 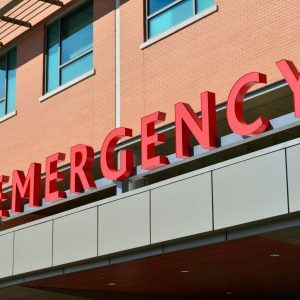 Review the emergency exit plan with your children frequently. In case of a fire, ensure that they know how to get out of the house and where they should meet once they’re outside. Practice this monthly because for many, doing is better than telling as they learn and know it better by doing the action. Teach your children about when to feel uncomfortable in certain situations. Ensure that they know to stay away from strangers. However, do it in a way that they aren’t scared of every person they meet. Teach your child what a stranger is and avoid teaching them that all strangers are dangerous, since this is not the case. Teach your children about what a dangerous situation will look like. Teach them that if someone they do not know tries to take them somewhere, they should run away screaming, “Someone’s trying to take me!” or something along those lines, to let others know they need help. Also teach them that if someone is chasing them, they should run into a safe place. A safe place is any place that has multiple people inside – like a grocery store or a library, for example. Another situation may be when someone is trying to physically harm your child. Some parents don’t believe in this but teaching your child some self-defense skills may be something to think about. Teach them to poke a harmful guy in the eyes or kick them in the knee. Teach them what a stranger is. Giving them a private family code word that will be used if they are ever picked up by someone they are unfamiliar with can be helpful. They should never get in an unfamiliar vehicle, even if it seems innocent enough. If someone tries to get them to go in a vehicle, then they should leave and find a trusted adult right away. Always have a recent picture of your child with you. If they were to ever go missing, show the picture to the police so they can help you find them. Keep the info about your child up to date. Know their height, weight, eye color, and any birthmarks they may have. This will also help the police to find your child. The safety of our children is so important. It’s important that we teach them how to be safe, especially in situations where we aren’t there. Remember though not to scare your children about certain situations. You don’t want them to fear every person they see, but you do want them to be aware of the people and their surroundings. When your child is safety conscious, you help to decrease the risk of anything happening to them. Here’s the situation: Your child wants a pet. But, should you get them one? Having a pet in the home can be one way of teaching your kids responsibility. Kids like cute things and many pets are cute. It shouldn’t surprise you when they ask for one. You might get a request for a cat, dog, rabbit, horse, iguana, lizard, turtle or other animal. Your first reaction might be to say no, but instead, consider how it may impact your child if they had the experience of owning a pet. There are a few things to consider. First, choose a pet that is age appropriate. Small children are not mature enough to learn to take care of a puppy, for example. You will end up doing most of the work. Instead, find a pet that can keep their interest while they learn all about it. Second, know the benefits of kids and pets. Kids can learn to care for something other than themselves. Pets teach selflessness and empathy. Kids learn to put the needs of something else over their own. Pets also teach social behavior. For many kids, pets are their first friends. Also, a pet can help them make more friends by interacting with others who own pets. 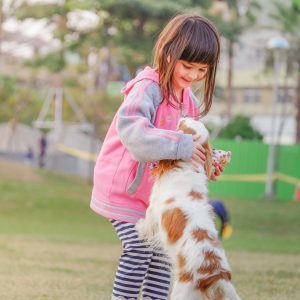 It’s a win-win situation for kids and parents as long as you can take on the responsibility of teaching your kid to care for their pet. It takes patience, but it will be worth it in the long run. Here are a few ways to help your kids get started. * Take a class – Local community centers, pet stores and animal shelters may hold classes to help others learn how to care for pets. This is useful before you buy the pet to gauge your child’s interest in certain pets. * Visit pet stores – Let kids see pets and hold them. Some kids like the idea of pets but not the thought of handling them. For those kids, starting with a pet that they can’t touch like fish might be a better choice. * Show them what to do – Before kids can learn to care for their pets, they need to see what it involved. If you have fish, show them how to feed the fish, clean the aquarium and change the water. It may take several times (if you have small kids) but they will catch on. * Discuss the consequences of not caring for them – When they forget to feed or clean the cages, discuss what will happen: odor, germs and more of a mess than you originally would have had. * Be backup – Watch your child care for their pets but know that you are backup in case they forget to do anything. Children can learn to care for pets at any age. Start with animals that don’t need much care and graduate up as your kid demonstrates maturity and interest. 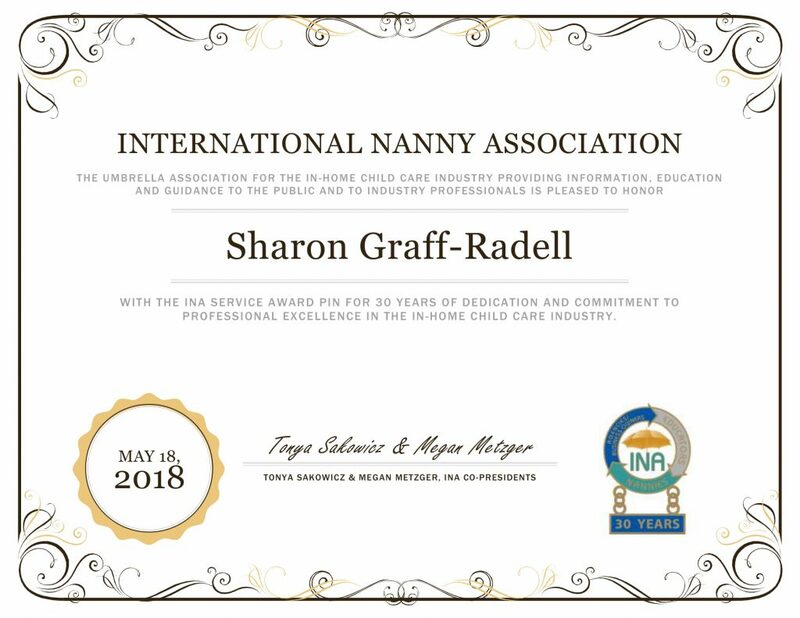 At the recent International Nanny Association 33rd Annual Conference in Tucson, Arizona, TLC for Kids, Inc. founder and CEO, Sharon Graff Radell, was honored with her 30 Year INA Service Award Pin. 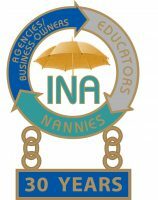 The INA Service Award Pin is presented to nanny educators, referral agency owners (or their staff), and business owners (or their staff) who serve the in-home child care industry. The Service Award Pin program originated within the National Association of Nannies in 1995. Thanks to the dedication and generosity of past NAN members, the Service Award Pin concept will continue on within INA and will share the same goal of recognizing those within the in-home child care industry for their hard work, dedication and commitment to professional excellence. 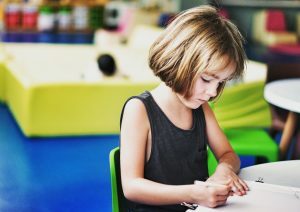 TLC in St. Louis was one of the first nanny and child care agencies in the United States and introduced one the first emergency and back-up care systems in the US. Today TLC brings high quality service to St. Louis, Miami, Tampa, Orlando, Jacksonville, Palm Beach, and Atlanta families and serves as a national model and consultant to agencies throughout North America. Sharon has been involved in the nanny industry since 1985 and has helped agencies in markets across the county to better understand and service their clientele through numerous workshops and private consultations. She also served on the board of the International Nanny Association for 16 years working to establish professional industry standards for agencies and nannies. Congratulations Sharon on this honor.